Well, it has been quite a while since I've had time to post. What have I been up to you ask? 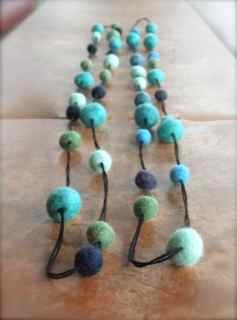 FELT BEAD JEWELRY. 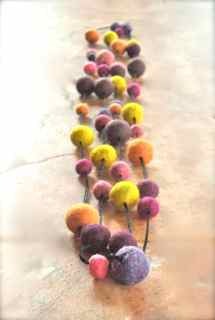 I have had fun creating all these colourful necklaces. They have been a real hit too, both locally and in my Etsy shop. Each felt ball is individually made through a combination technique that I came up with. 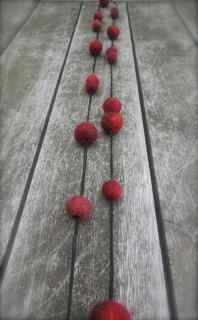 I do a combination approach to needle felting and finishing each bead off by wet felting. So much fun to make and wear!